Now, let me start off by saying that I was scared to plan a party. I am one of those people who gets overwhelmed easily- and a house full of people to entertain seems scary just in thought. 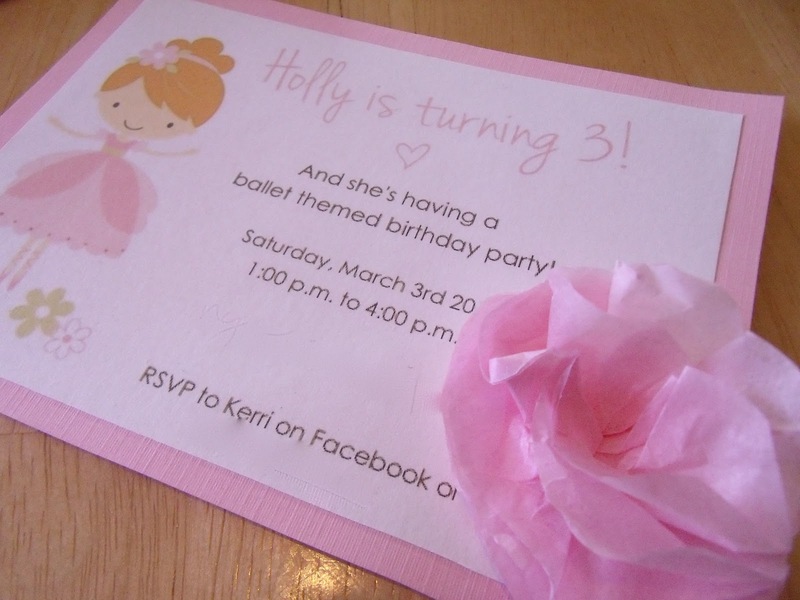 So, because Holly has never had a birthday party before, I decided to try a small (mostly family) gathering to test out my party-planning/entertaining skills. What’s the first step to planning any birthday party (besides picking the theme)? 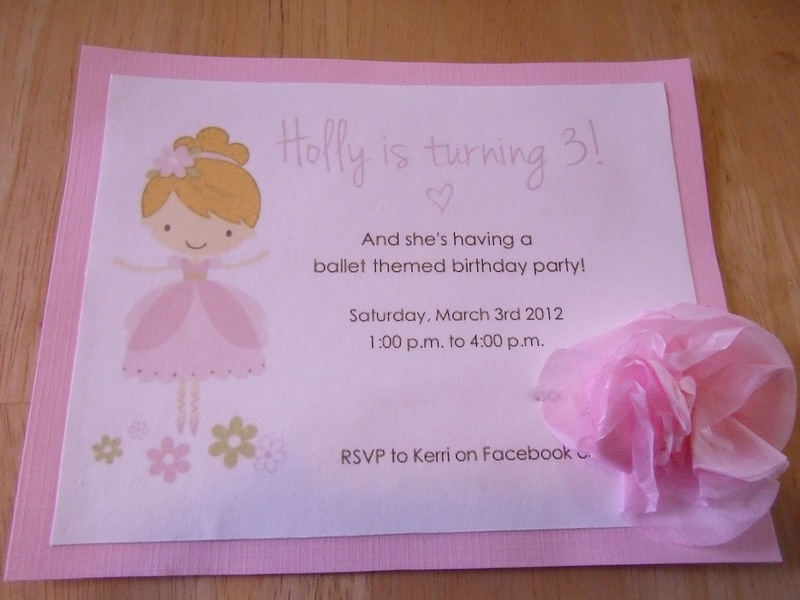 I used a clip-art picture of a ballerina (found online) and used a simple computer program and some downloaded fonts to throw together a cute little ballet invitation. I obviously edited out my address and phone number to post these pictures on this blog. 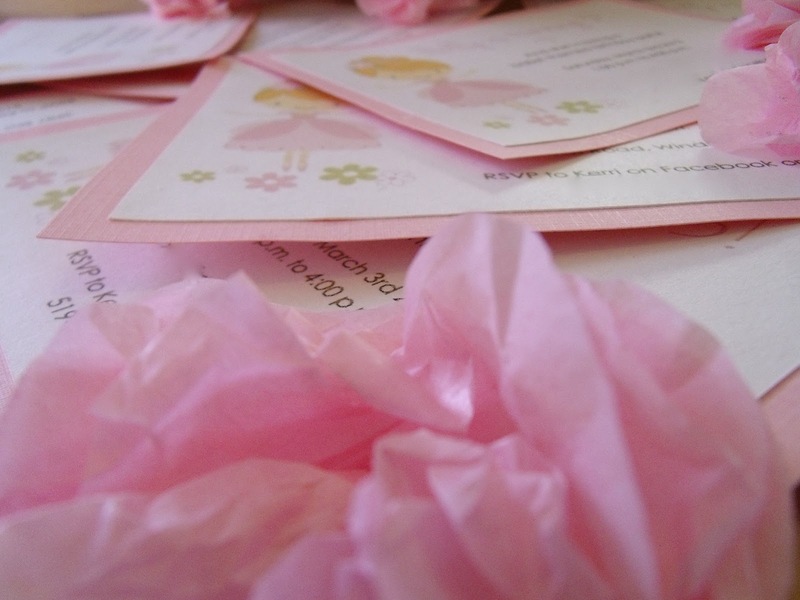 After printing the invites onto a think white card-stock, I cut pieces of textured pink scrapbook paper a bit bigger than the invites, and glued them together! 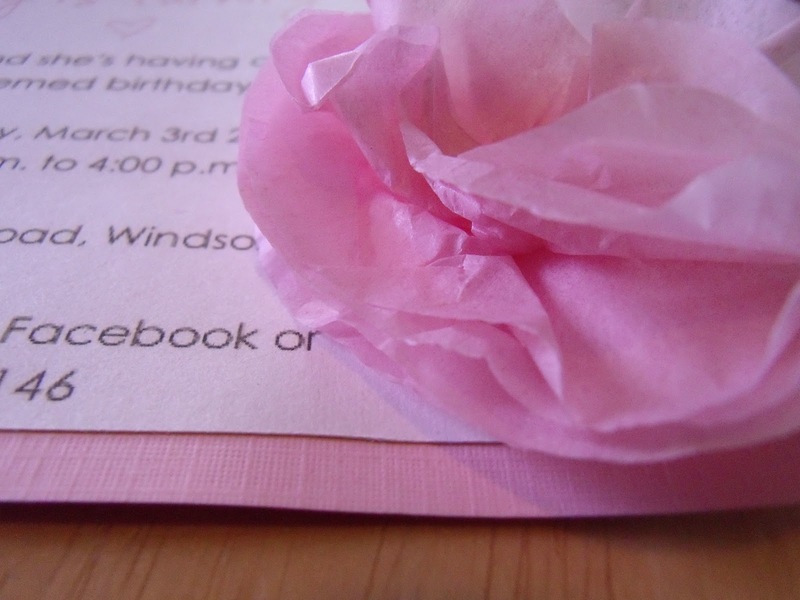 To add a bit of fun to the invites, I used this technique to make a sweet little ruffle flower in the corner of every invite. …and voila! 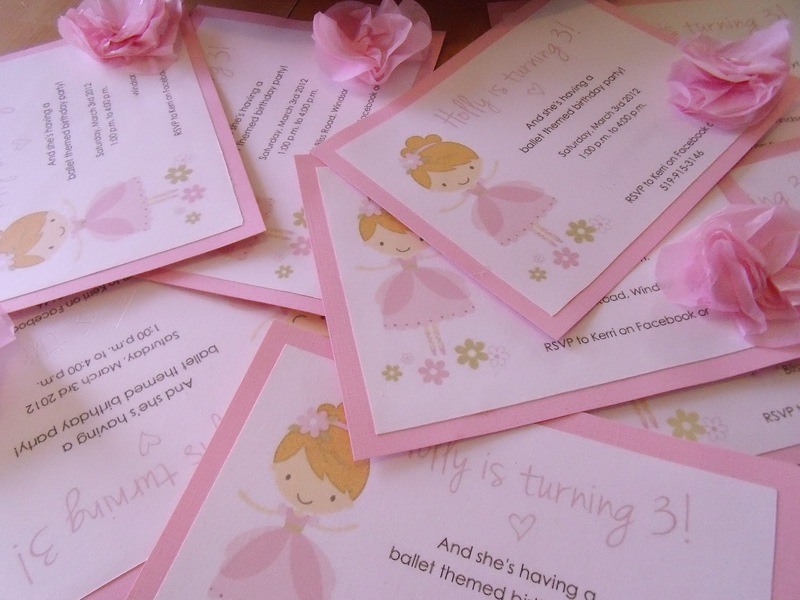 A ballet themed party invitation. 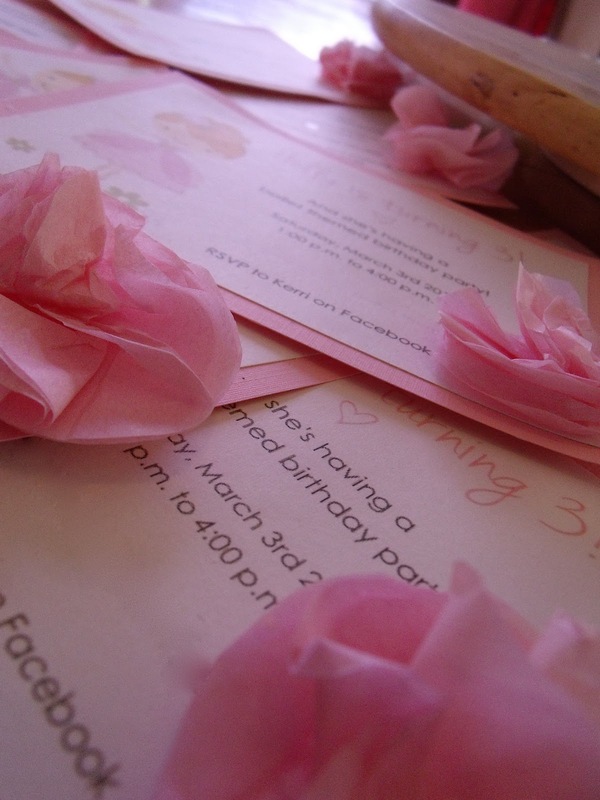 I love making my own invitations. It’s the best when you can tweak every detail to your liking (instead of just hand-writing information on a line! ).